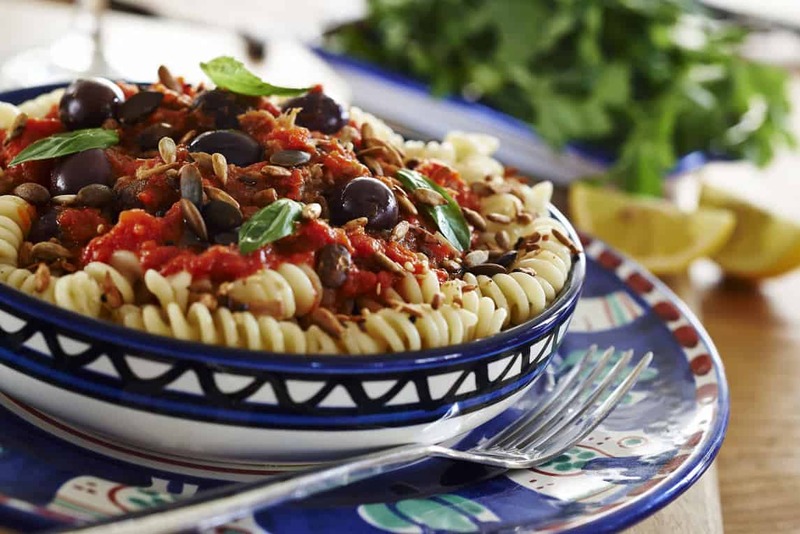 Celebrate World Pasta Day with a delicious bowl of Spicy tomato and black olive pasta topped with your favourite savoury Munchy Seeds. Perfect for a mid-week evening meal, tasty lunch with salad or great for Tupperware boxes. Gently fry the garlic in olive oil for 3 minutes, add chilli flakes (optional). Add the pasta and black olives, simmer for ten minutes. Pour over the fresh cooked pasta. Delicious served with garlic bread & a fresh green salad sprinkled with ‘lashings’ of Munchy Seeds.